Most of people’s free time is now spent online. As a result, brands pay a higher price to participate in the digital world—until Shareability came in. They helped brands succeed in a new age of media by creating social content that cultivates an emotional connection between the brand and the consumers. Using bigDAWGS’ Video Greeting Card, Shareability sends their portfolio to brands that they would like to work with. 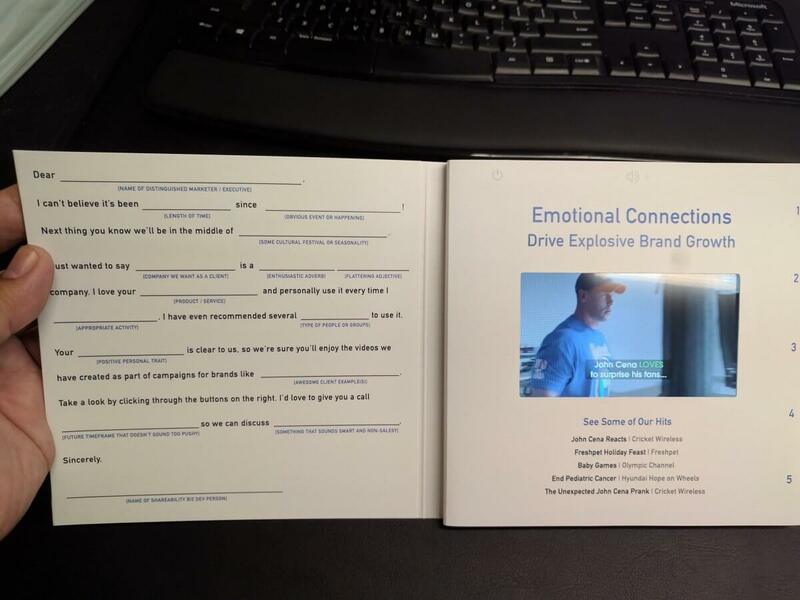 The card contains video samples of some of their big hits from awesome clients over the years. Visit shareability.com to see more of their work!